Hi all! 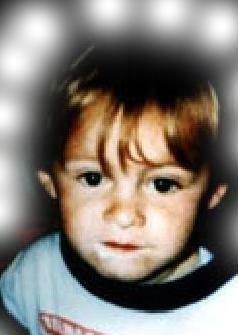 Chances are, if you're here, you already know of James Bulger and the circumstances surrounding his horrible death. But if not, please take the time to read his story (the first link listed below). James is someone I feel everyone should be aware of, not so much for political reasons, but because of who he was. Do make sure to check out the page links that are listed below, and sign the guestbook if you like. Also, if anyone has a poem or a song that reminds them of James that you want to share, let me know and I'll put it up on the Words page. I've recently added new ones, so make sure to check them out.